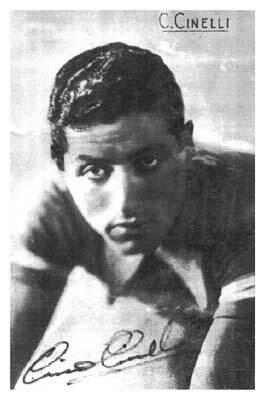 Cino Cinelli (February 9, 1916 - April 20, 2001) was a professional rider from 1937 to 1944. After the war he went on to found his eponymous cycle company that became legendary for innovation and quality. 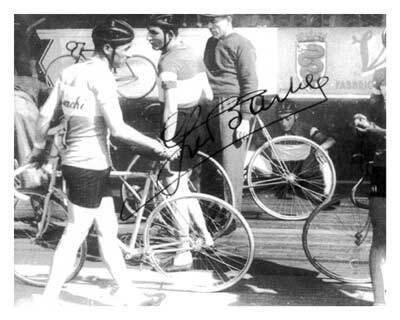 Photos: Courtesy Andrea Cinelli, who gave me these photos at the 2001 Milan Bike Show. 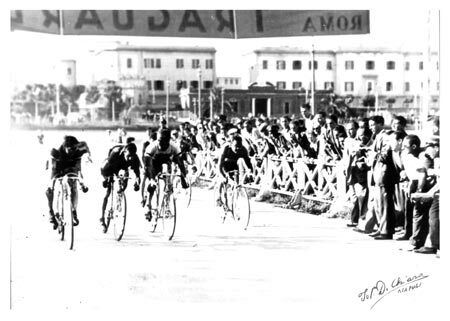 A madison race at the Vigorelli Velodrome in Milan, 1940. 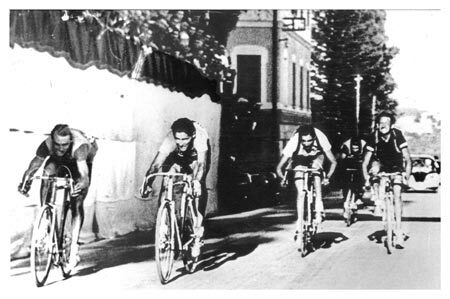 From left: Cino Cinelli, Gino Bartali, and (seated in the rear) Fausto Coppi. 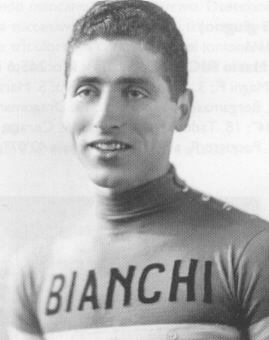 Picture taken between 1940 and 1943 when Cinelli rode for Bianchi.